Looking to get involved with your child’s school, meet other parents and families, and have some summer fun? 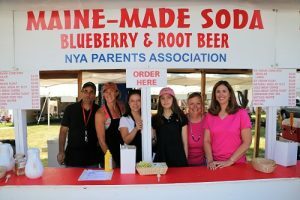 The NYA Parents’ Association is looking for a few committed volunteers to help organize and manage the NYA booth at the Yarmouth Clam Festival taking place this July. This is a major fundraiser for the PA, with all proceeds going right back to NYA. If you are interested, please contact Scott Frank, Laura Bergeron, or Tori Baron for further information.